June 21 The transition between combustion engine power and electric motor is hardly noticeable in the Golf GTE. But find yourself in stop-start traffic going up a hill, with the car in full electric mode and the Volkswagen doesn’t like the terrain at all. It judders forward in tiny kangaroo skips that encourage you to switch straight back to hybrid mode. Otherwise, it’s fun trying to squeeze the most mpg from the GTE by switching between modes via the infotainment system. Just remember this is a car that performs best around town. I’ve spent the weekend on long distance treks any only just managed 41mpg. June 20 Like turning up at a vegetarian conference eating a hog dog, arriving at a festival of cycling in a car isn’t a good thing. Indeed, you can almost feel those two-wheeled fanatics cursing your combustion engine and health damaging particulates. So when I arrived at the Eroica Britannia (www.eroicabritannia.co.uk) in Derbyshire in my Golf GTE, I wanted to hoist a flag declaring that my car was actually running on electrical power rather than petrol. You see, the GTE looks so similar to the standard Golf, you just wouldn’t know it was a hybrid. But I think the VW was just about the coolest four-wheeled machine there. Off to Ascot Races. 3-1 I won’t win enough for a Maserati but would settle for a Golf GTE! June 18 Just off to Ascot – hopefully to win enough money to buy a Maserati. Only kidding, I’d settle for one of these Golfs actually. For some reason I’ve never owned a VW – which is weird because I rate them pretty highly. Especially the R, which is fantastically quick and so easy to drive at speed. The GTE is sleepy by comparison but I love the fact it has uber-green credentials and still churns out enough performance to make the ride to the racecourse exciting. This is the first hybrid that has really turned me on to the idea of owning a petrol-electric. Pretty pointless living in the sticks but I can usually find a good reason to buy any car if I like it. 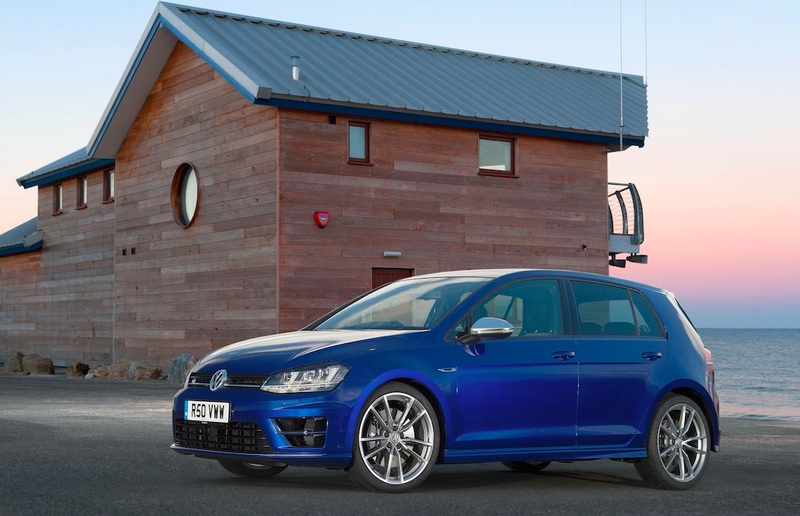 So, I’ll report back on Monday with mpg – which of course won’t be anything like the official 166 claimed – and how what the Golf is like to live with in the real world. June 17 Volkswagen announced yesterday that it plans to launch 30 all-electric cars in the next nine years – making itself the leader in green transport. The company says that by 2025 all-electric cars would make up some 25 per cent of annual sales. It will also move VW on from the damaging scandal it is battling to put behind them concerning diesel emissions. Our Golf GTE shows how well they are doing. It’s an exceptional hybrid – despite the price – but there is something Volkswagen could do to further enhance the GTEs image. Lead a campaign to give motorists real-world economy figures! 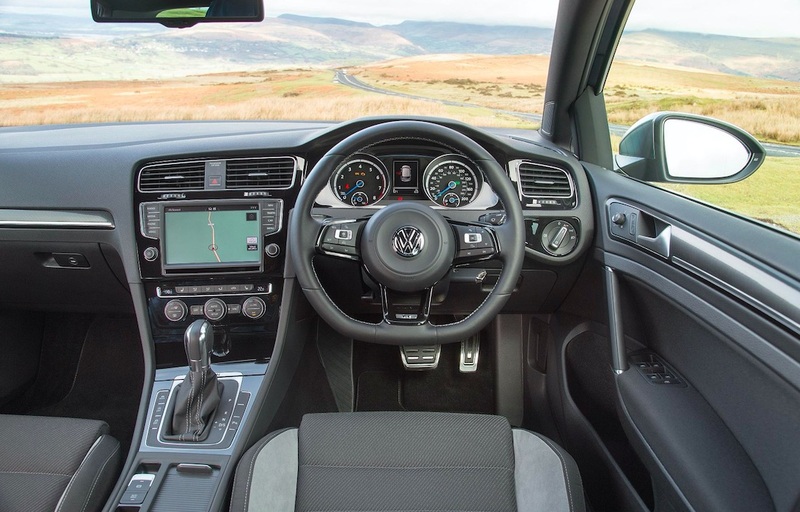 The official mpg tests for cars are carried out over a short distance, which means any hybrid car will appear to give remarkable economy figures well over 100 mpg. It’s a major frustration to buyers – and a source of bad feeling – that must be rectified. And with VW struggling to put the emissions scandal behind them, what better way to ‘come clean’ on economy. June 16 After a week of madness in the Caterham Seven, it’s something of a relief to be able to step into a car without the need for ear-plugs or having to perform a double-jointed manoeuvre to squeeze aboard. Working windscreen wipers are a bonus too. There’s also an element of cool about this particular Golf. Based on the world’s benchmark hatchback, here’s a car that gives you instant eco credibility in a brilliant all round package. Unfortunately, what’s hard to ignore is the price. I’d be fascinated to know what kind of person will pay £33k for a hybrid Golf. If they want economy, a TDI version will more than equal it. If they want speed, the R is a class leader.